From The Garden State Parkway Directly To The Venue Exit the Garden State Parkway @ Exit 38 A, Atlantic City Expressway West (Towards Philadelphia). 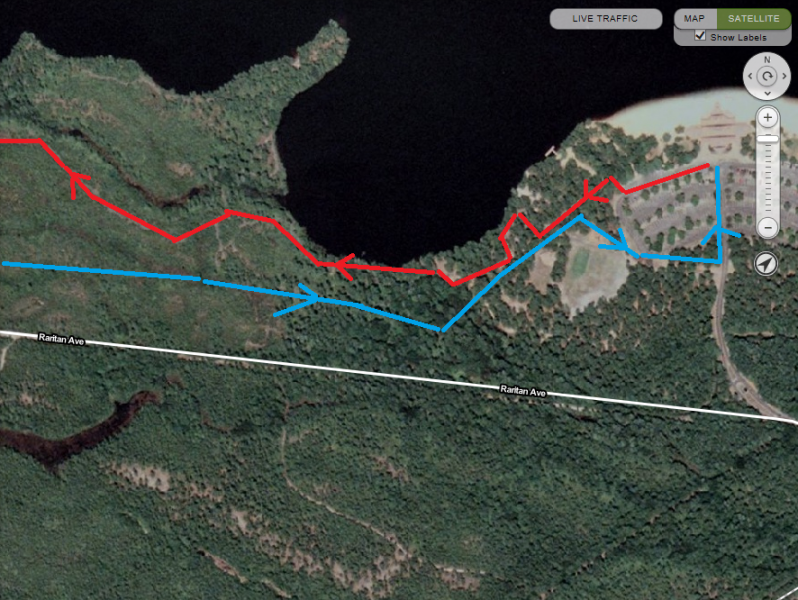 You will be 35 +/- miles from the venue site, Atsion Lake Recreation Area. 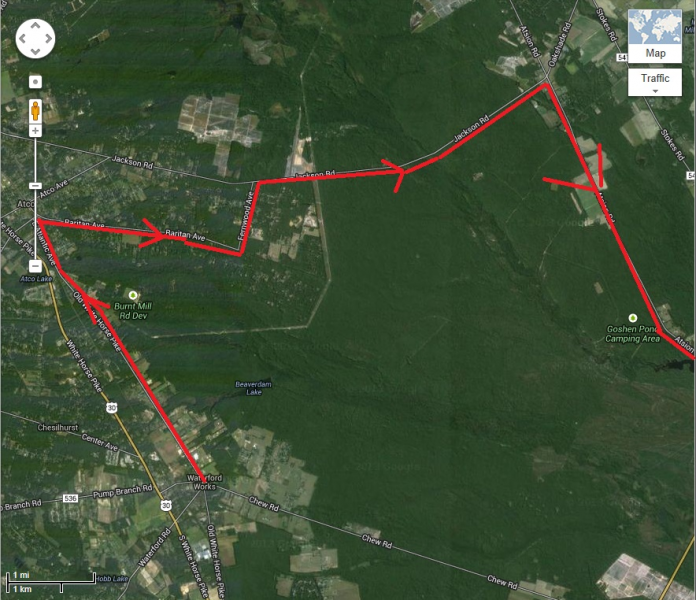 Exit the AC Expressway at Hammonton, Exit 28, State Highway Route 54 (You are approximately 10 miles from the venue). Go North on Rt 54, through the town of Hammonton to US Route 206 North (US 30, White Horse Pike and US 206 meet)( Rt 54 terminates at this point). Continue north on Rt 206 to mile marker 7. You are there. From Delaware And South Directly To The Venue Take Interstate 295 North to Exit 28 (Bellmawr, Mt Ephraim, State Highway 168/Black Horse Pike). At top of exit you must turn left, get to your right immediately, crossover overpass, and enter Interstate 295 South, get to right and take right fork (Interstate 295 South) and State Highway 42. 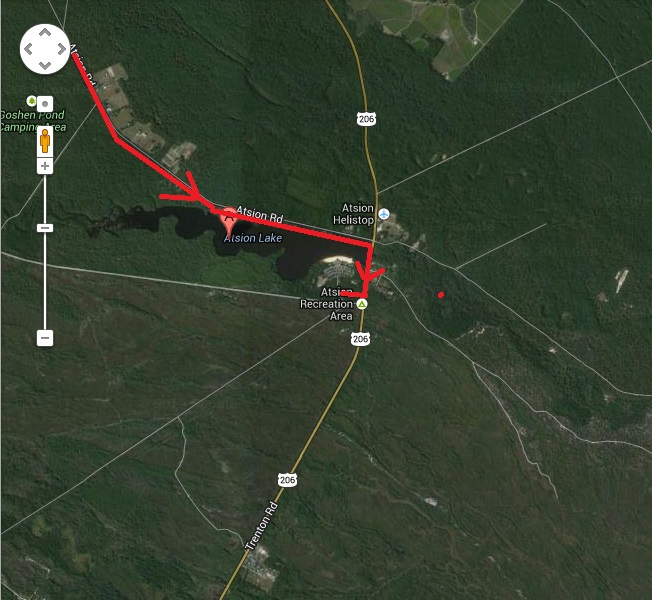 This is a big loop counterclockwise. Keep to the left and merge left into State Highway 42 and Atlantic City. DO NOT CONTINUE ON INTERSTATE 295 SOUTH, or you will end up in Delaware (This is a confusing intersection of highways and over and underpasses but this is the easiest and least confusing way to the event from the south). 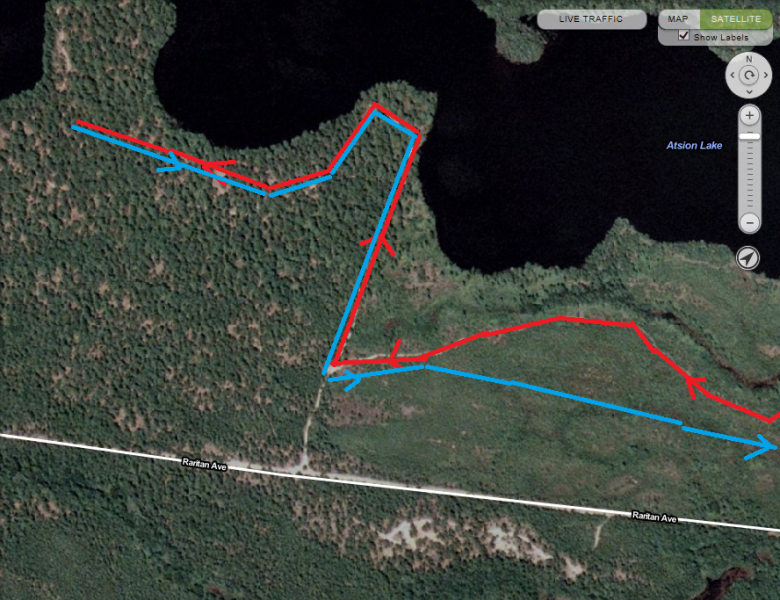 You will be 35 +/- miles from the venue site, Atsion Lake Recreation Area. Continue on State Highway 42 east towards Atlantic City. 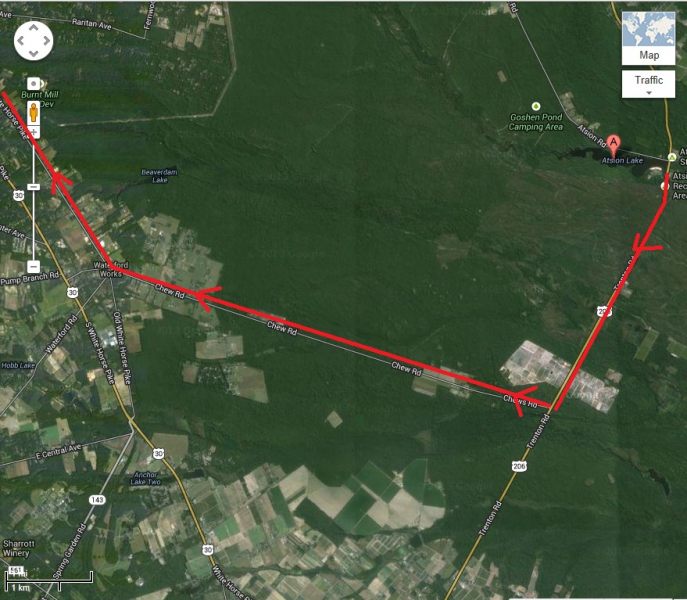 Approximately 5 miles merge left onto the Atlantic City Expressway and continue to the Hammonton, Exit 28, State Highway 54. At the end of the exit turn left. (You are approximately 10 miles from the venue). Go North on Rt 54, through the town of Hammonton to US Route 206 North (US 30, White Horse Pike and US 206 meet) (Rt 54 terminates at this point). Continue north on Rt 206 to mile marker 7. You are there. 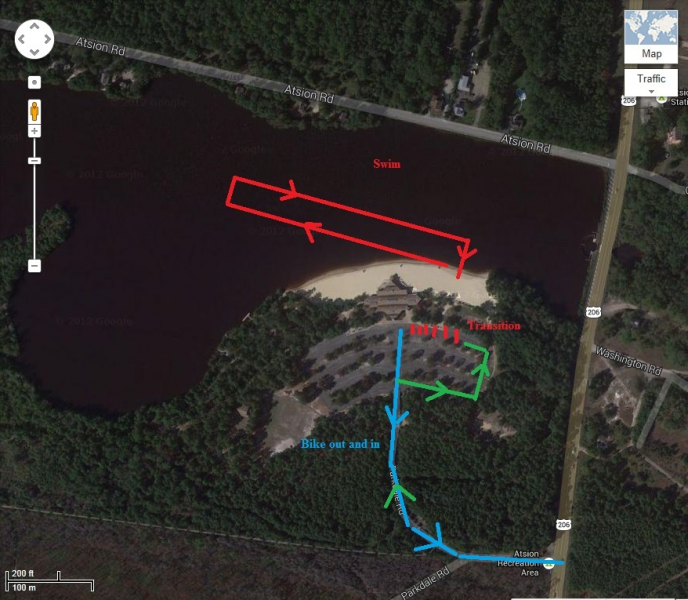 How was Pine Barrens Olympic Triathlon/Duathlon/Aqua Bike and Sprint Triathlon?